As the grip of midwestern winter just seems to hang on this year--I am using this late winter time for some quiet reflection on a few matters, concerning antiques and otherwise. 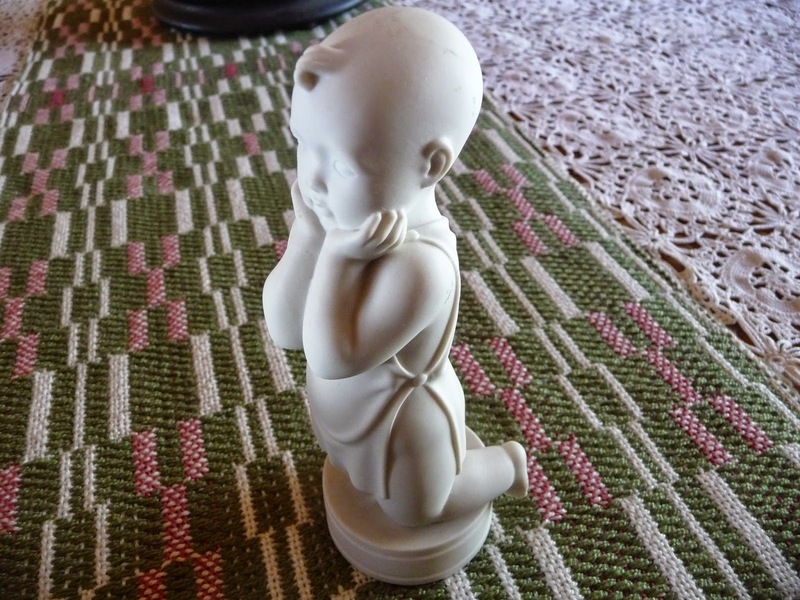 This sweet little bisque fellow is a 1929 Royal Copenhagen statue that belonged to my great grandmother. My mother had it on her coffee table for many years, and this Christmas gave it to me. 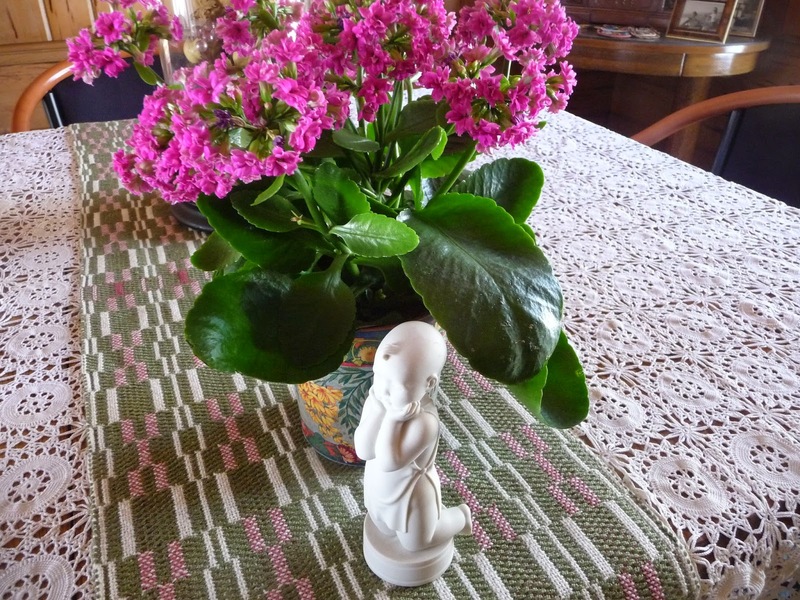 Something about the simplicity of it-- the little fellow is kneeling and earnestly thinking about something. 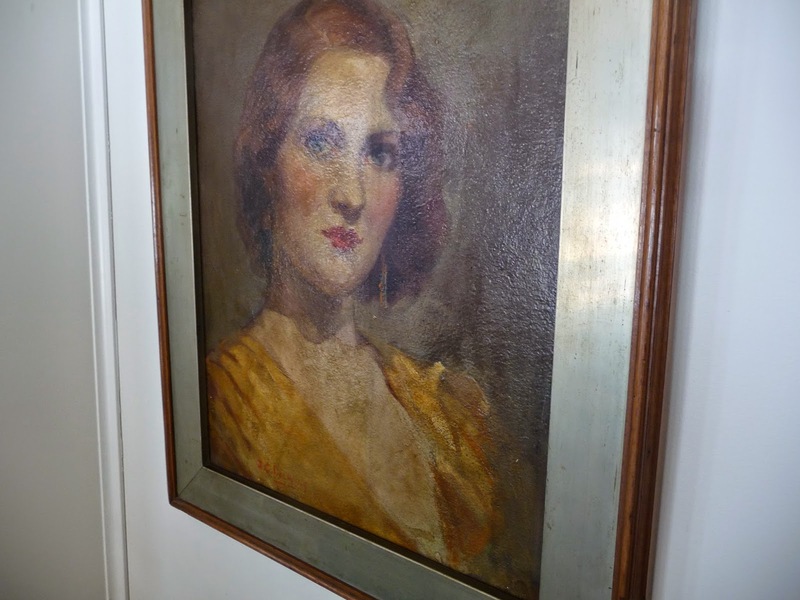 This pensive beauty is a recent auction addition. We had expected to sell her, but I think she will live with us for awhile. An American oil, 1930s by the hairstyle. She has a wistful look that was captured well by the artist and has a calming quiet reflection to her gaze. 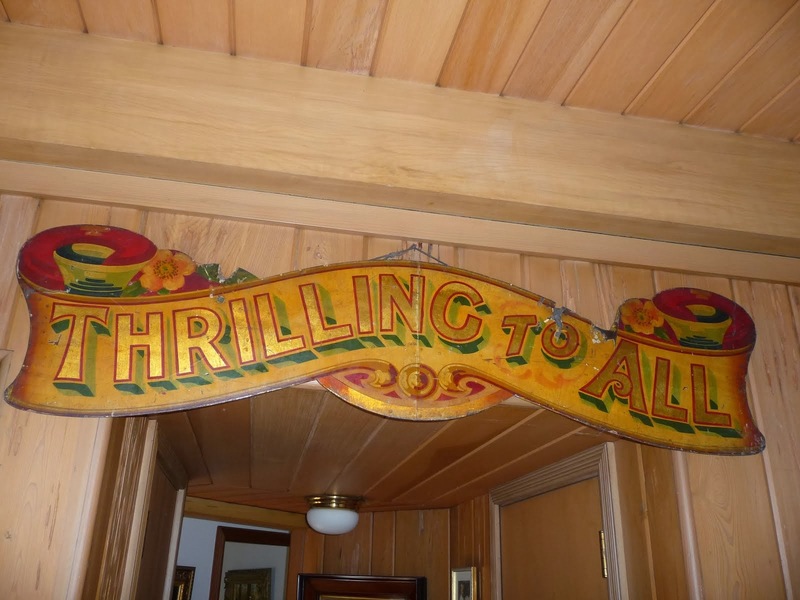 The antique business has a particular frenzy for us these past two months. Thank heavens. Frenzy means buying opportunities and most importantly sales. Not sure what is up--but we are happy for it. It means running around to sales, auctions and shows and keeping the stock put together. It has also prompted some late winter reflections---both on the business and life. Not many fresh conclusions--just some organizing focus on the importance of health, maintaining contact with good friends and family, spending time in service to others, working at a livelihood you love, paying attention to your spiritual life, and trying to learn something new everyday. Clarity can come in quiet times. You just have to listen for it.